Researchers pooled data from 16 prospective multicenter trials in Italy involving a total of 3670 patients with either lung, breast or ovarian cancer, which included the EORTC quality of life C30 questionnaire. Question 28 of this questionnaire asks patients to rate financial difficulties related to their disease or treatment on a scale from ‘not at all’ to ‘very much’. Confirmed overall response rate of 19.6% in all previously treated patients who received Opdivo. First Presentation of Data Investigating KEYTRUDA in the Front Line Treatment of Bladder Cancer. Today researchers presented the preliminary analysis of the first 100 patients enrolled in the trial. The primary endpoint of objective response rate was 24%. "It further strengthens the argument that these drugs should be considered a potential new standard of care," added Balar, who presented the results at the European Society of Medical Oncology meeting in Copenhagen. Confirmed objective response rate for both combination regimen cohorts was 40.4%. Patients treated with cabozantinib showed a 31% reduction in the median rate of progression or death compared to those treated with sunitinib (8.2 months vs. 5.6 months, p = 0.012). The objective response rate was also significantly higher in the cabozantinib arm compared to the sunitinib arm (46% vs.18%). Patients were most likely to be offered end of life chemotherapy if they were young, treated in high-volume centers, which lack a palliative care unit. The EPICORL researchers also found that the national cause of death statistics underestimated the burden of head and neck cancer by 38%.2 Investigator Dr Caroline Even, from the department of Head and Neck Cancer at Gustave Roussy said this was likely due to the fact that 43% of the 41,503 patients who died in hospital with advanced head and neck cancer were also treated for a cancer other than head and neck. The major research on more than 200,000 breast cancer patients found mortality rates were far higher among older women – even though the disease was no more aggressive. Out of an estimated 19,250 metastatic melanoma patients treated annually, 5,228 or 27 percent do not have access to new drugs that are now recommended under European treatment guidelines. 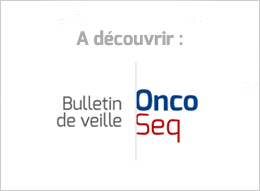 “Despite the negative outcome of the trial, the evaluation of custirsen in prostate cancer was conducted on the basis of solid preclinical and clinical evidence supporting anti-tumour activity,” said principal investigator Professor Karim Fizazi, head of the Department of Cancer Medicine at the Institut Gustave Roussy, Villejuif, France. To explore the relationship between prostate cancer and fat in the diet, the study team used data on 1,854 men with newly-diagnosed prostate cancer, including 321, or 17 percent, with "highly aggressive" cancers. Takeover speculation that had fueled the recent rise in Clovis' stock price looks to be subsiding. Tesaro expects to file a new drug application before the end of the year for niraparib as a maintenance therapy for ovarian cancer. Data from subgroups of two multicenter, single-arm open-label phase 2 studies, Study 10 (NCT01482715) and ARIEL2 (NCT01891344) were combined for an integrated efficacy and safety analysis which further characterized the clinical benefit of rucaparib at the recommended starting dose of 600 mg BID in women with advanced ovarian cancer. We already knew going into the big ESMO meeting that Tesaro’s PARP inhibitor niraparib had demonstrated stellar results for a range of ovarian cancer patients with BRCA mutations. But when investigators stood up to display the results of their pivotal study, a full set of data demonstrated a benefit not only for tumors that were positive for HRD, an important biomarker, but also for HRD-negative tumors. Clovis faces tough competition in this field. And investors didn’t like the way the data was breaking down compared to rivals like Tesaro’s niraparib, which was put through a randomized study with a control arm. The finding suggests that a Myriad Genetics companion diagnostic test, designed to select suitable patients, may not be necessary. Opdivo-treated patients exhibited stable functioning and symptoms, whereas those treated with investigator’s choice of therapy exhibited statistically significant worsening of these outcomes. For patients receiving nivolumab, both function and symptom burden was maintained or even improved at nine and 15 weeks compared to baseline. In contrast, patients receiving standard of care chemotherapy had worse scores in all areas at nine and 15 weeks compared to baseline. In a study of head and neck cancer, more patients taking nivolumab survived for longer compared with those who were treated with chemotherapy. In another study, combining nivolumab with another drug shrank tumours in advanced kidney cancer patients. Trial participants treated with nivolumab typically survived for 7.5 months, and some for longer. Middle-range survival for patients on chemotherapy was 5.1 months. 43 percent ORR across diverse range of GU tumors. Data supports ongoing Phase I cohort expansion of lirilumab in combination with nivolumab. This study was part of a programme instituted by the French National Cancer Institute. Dr. Le Cesne and colleagues in the French Sarcoma Group assessed the efficacy, safety and quality of life of trabectedin versus BSC as a second or later treatment line in patients with advanced STS in the T-SAR trial. Results from KEYNOTE-010 Include Improved Patient-Reported Health-Related Quality of Life Outcomes and 18-Month Findings of Overall Survival and Progression-Free Survival in Previously Treated Patients Whose Tumors Express PD-L1 (Tumor Proportion Score of One Percent or More). TECENTRIQ provides survival benefit over chemotherapy, even in people with low or no observed levels of PD-L1 expression. At data cut-off, median progression-free survival was not significantly different between the selumetinib arm and placebo arm (3.9 months vs. 2.8 months, HR 0.93, p=0.44), nor was there a significant difference in median overall survival (8.7 months vs. 7.9 months, HR 1.05, p=0.64). Novartis' dedication to exploring Zykadia's efficacy in ALK+ NSCLC patients continues to grow, with first-line data from Phase III study expected in Q4 2016. In CheckMate -057, durable responses and complete responses were observed with Opdivo in both PD-L1 expressors and non-expressors. The misfire put the company “on its back foot from a commercial perspective,” Bernstein analyst Tim Anderson wrote in an August note to clients, and made Merck’s Keytruda--Opdivo’s nemesis--the drug to beat in the lung cancer space. A reduction in the risk of death was observed in the LUX-Lung 7 trial for patients treated with afatinib versus gefitinib, without reaching significance. Patients Receiving ALIMTA-KEYTRUDA-Carboplatin Combination Demonstrate Response Rate of 55 Percent and Reduction in the Risk of Disease Progression or Death by 47 Percent, with a Median Progression-Free Survival of 13 Months. “The CheckMate -026 trial results strengthen our belief that the majority of previously untreated NSCLC patients may require combination therapy in order to experience an improved benefit versus chemotherapy,” said Fouad Namouni, M.D., head of development, Oncology, Bristol-Myers Squibb. Response was durable in nearly half of the patients. The investigators found that pembrolizumab significantly improved the primary endpoint of progression-free survival by approximately four months compared to chemotherapy (10.3 months versus 6.0 months, hazard ratio [HR] 0.50). Experts and Wall Street analysts had expected that tumors at higher levels of PD-L1, Opdivo would perform better. This might have even allowed Bristol-Myers to convince insurers to pay for front-line use of the Opdivo, even if the Food and Drug Administration didn’t approve it. That didn’t happen. We already knew from the top-line announcement that the trial failed — triggering something of a Russian winter for Bristol stock. Now we know that it failed really, really badly. Bristol has already lost $32 billion in market value since announcing in August the failure of the Opdivo front-line lung cancer trial. In the same time period, Merck's market value has increased by $14 billion. This weekend's cancer immunotherapy duel isn't likely to reverse that valuation trend. “Nivolumab did not improve progression-free survival over chemotherapy in this study. In my view the reason is because the trial included a broad range of patients with a low PD-L1 expression threshold of just 1% or greater." Participants in the pembrolizumab arm also experienced an improved progression-free survival (median 13.0 months vs. 8.9 months) although overall survival rates were similar between the two arms (6 month survival rate = 92%), in this early landmark assessment. "Remember this day. It's a new day for lung cancer treatment," Stefan Zimmermann of Lausanne's University Hospital told reporters at the European Society for Medical Oncology (ESMO) congress as the results were presented. Some investors had hoped Bristol would be able to point to a clear benefit in patients whose tumors had at least 50 percent of cells producing PD-L1. However, even in this group the trial did not show a benefit. "It gives us a chance to do what BMS was trying to do, but do it in a less risky manner, by expanding the population from the 50 percent PD-L1 cut-off to a bit broader," Soriot said. Risk of distant metastasis was reduced by 24% with Yervoy compared to placebo. Second trial to confirm three-year landmark overall survival data for the combination. Data Comparing KEYTRUDA to Chemotherapy Shows Continued Benefit with Follow-Up Beyond 2.5 Years in Patients with Ipilimumab-Refractory Advanced Melanoma. In absolute terms, the overall survival rate at five years was 11% higher in the ipilimumab arm (65%) than in the placebo arm (54%). Lurbinectedin proceeds to phase III trial evaluation. LEE011 (ribociclib) plus letrozole reduced the risk of progression or death by 44% over letrozole alone, significantly extending progression-free survival (PFS) across all patient subgroups. “These results demonstrate that rucaparib may represent an important option for women with multiply relapsed BRCA-mutated ovarian cancer based on its encouraging efficacy and tolerability,” said Rebecca S. Kristeleit, MD, PhD, The University College London, Cancer Institute, London, UK. The first interim analysis of data from the randomized, double-blind MONALEESA2 study showed a 44% improvement in progression-free survival with ribociclib plus letrozole as a first-line treatment combination. A median progression-free survival benefit could not be established, but the trend is clear. My first question about Novartis’s new medication, ribociclib, is how it compares with palbociclib (Ibrance). Unfortunately, because these drugs have been evaluated in separate clinical trials, sponsored by independent pharmaceutical companies, by oncologists at distinct sets of medical centers, it’s hard to discern the differences. Although ERBB2 alterations occured at a low frequency, their presence associated with a markedly poorer prognosis, making both screening for ERBB2 alterations and the testing of anti-ERBB2 therapies a consideration in adjuvant colon cancer setting. Significant increase in progression-free survival was observed with nintedanib; this did not translate into an overall survival benefit. Patients participating in SPECTAcolor will have better access to targeted therapy in clinical trials. The ctDNA data suggested that changes in BRAF V600E mutation frequency may serve as a biomarker, and allow for monitoring of both treatment response and disease progression. The investigators explained that pre-existing and emergent RAS mutations may represent potential mechanisms of resistance to combination treatment. Genomic profiling of three large series reveals different mutational frequencies in small bowel adenocarcinoma, colorectal carcinoma, and gastric carcinoma. The authors advised that a longer, 12-week interval, after chemoradiotherapy prior to surgery results in significantly greater tumour downstaging, improved pathological complete response rates, and greater magnetic resonance tumour regression grade. Nintedanib significantly improved median progression-free survival compared to placebo (1.5 vs 1.4 months, hazard ratio 0.58, 95% confidence interval [CI] 0.49–0.69, p<0.0001). There was no difference in overall survival between the two groups.